Larry OG is the child of OG Kush and SFV OG Kush, born on the Cali coast, part of the OG, or ocean grown family. 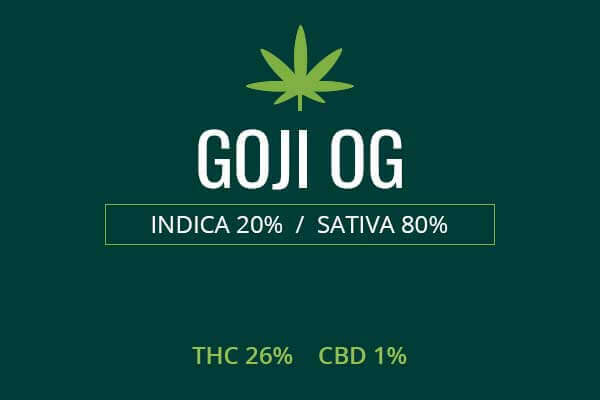 OG also stands for Original Gangster of course, though weed connoisseurs like to claim it means ‘ocean grown’ to make it seem more high class. We don’t wanna think our weed strains were made by criminals experimenting on the streets. We would rather believe it was grown in the ocean. It’s all good, no matter what OG means. Now it just means ‘oh gosh’ that’s some powerful weed. 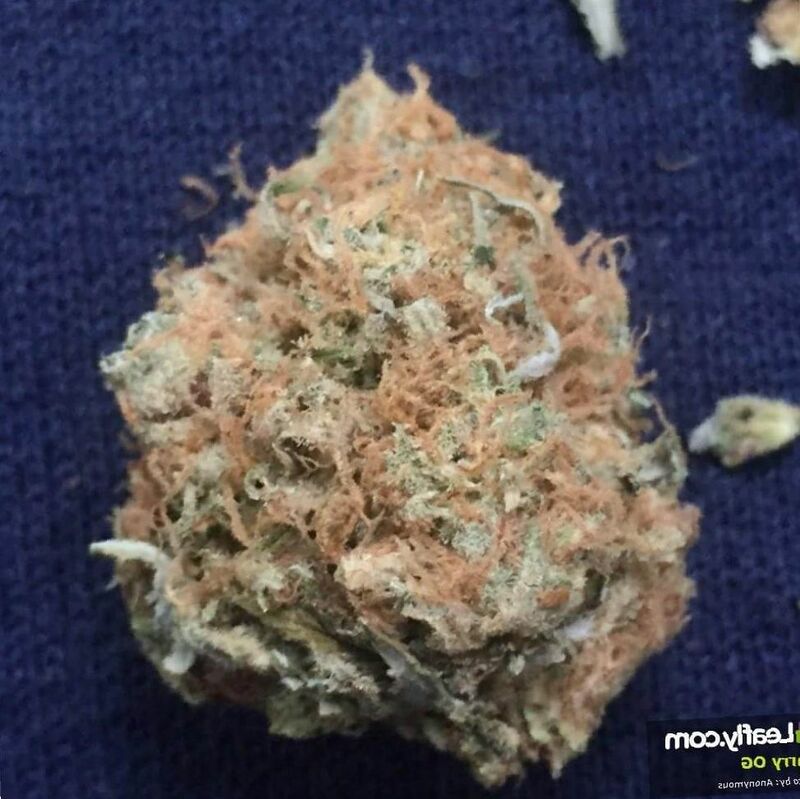 May Relieve Larry OG weed is a heavy weight balanced Indica / Sativa. It can be used to treat moderate pain from various causes. It can be an effective muscle relaxant. It can improve symptoms of nausea and can cause the sedation needed to achieve a restful sleep. Indoor/Outdoor Yield Larry OG can yield 19 ounces of sticky weed per square meter of the space it is growing in. It can yield about sixteen ounces growing freely outside. Flowering time Larry OG marijuana weed can grow indoors and will take about 8 weeks to be ready to flower. Harvest Larry OG weed will flower automatically in the middle of the month of October on the Cali coast. Disease resistance Larry OG has very good resistance to disease. It is hearty against such assaults as mechanical damage from winds, slight temperature extremes, mites, spiders, fungi, mildew, and mold. 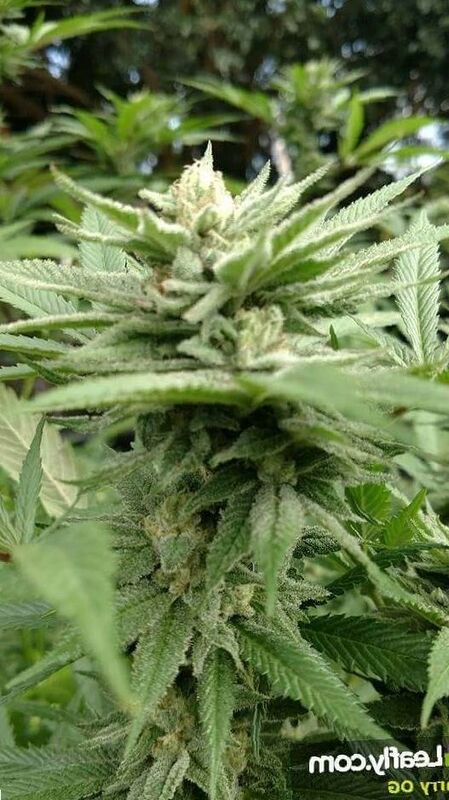 Plant Height Larry OG cannabis plants are tall, standing more than 6 feet tall. Adverse effects The Larry OG marijuana can have the adverse effects of any high THC weed. It can cause symptoms of panic if you take too much, but the episode should be over or significantly reduced within two hours. It can also cause dryness of the mouth and redness of the eyes. Larry OG is another weed of the famous ocean grown lineage. It is a product of the California coast. Its parents are San Fernando Valley OG and OG Kush. It therefore has both OG genetics and Kush genetics from the Hindu Kush mountains. This makes it a hardy plant that packs a strong punch of THC. Larry OG is fairly tall. It grows up to 80 inches tall. Its signature is buds which are dense and long, orange, hairy pistils. You can see the long hairs in the nugget pictured above. This is a sign of the health of the plant. Trichomes are visible but not blanketed like you would expect. More of the THC is contained in the nuggets of this brand. 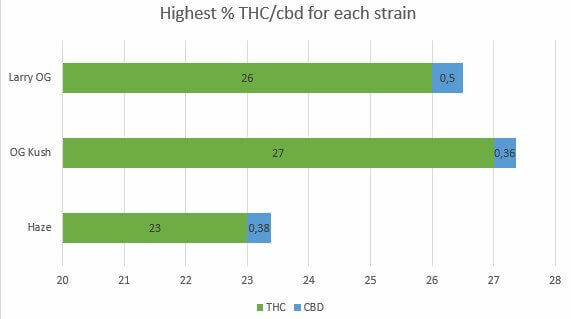 Which is good because that makes it impossible that manufacturers might steal the trichomes to make other products and reduce the THC content. You get all the THC right there in your buds. The flavor is full of lemon and pine. It is sometimes called Lemon Larry due to the strong levels of limonene which is the terpenoid known to bequeath a strong lemon flavor. You can also smell the Hindu Kush mountains and the crisp air full of nature, earth, and sun in this mystical region. Growing weed from Larry OG cannabis seeds or cuttings is said by cultivators to be an endeavor of moderate difficulty. 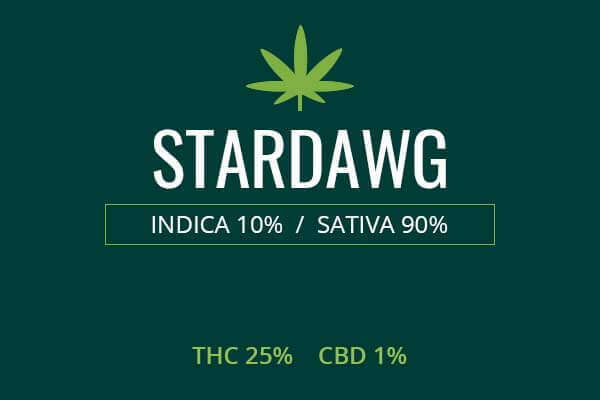 This strain can be better cared for in an indoor setting. Inside, you can use a grow tent with high powered lamps and reflective lining to focus all the light on your receptive leaves, according to the growth cycle of the plant. You can use a fan, filter, and exhaust system to keep the air dry and clean to prevent the growth of molds and mildew. Alternately, some choose to grow this variety in a greenhouse. This is also a great way to carefully control the temperature, sun exposure, and humidity. Growing your plants indoors, you can come away with a yield of nineteen ounces of lemony weed for every meter squared of space available to cultivate your plants. Outdoors, you need an environment like the San Fernando Valley. Crisp, clean air, and lots of sunlight. Mild temperatures are preferred. Harvest will be around the middle days of the month of October. You can come away with sixteen ounces of potent weed for each plant you grow. This is an abundant yield for a plant with THC levels this high. 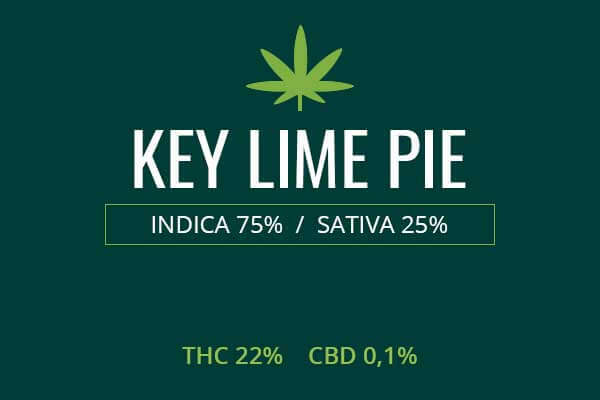 Larry OG is a balanced Indica / Sativa and boasts THC levels up to 26 %. This makes it a potent medicine. It also has a heavy sedative effect. This makes it a great choice to help to treat causes of pain which are not reached by other medications. Neuropathic pain and chronic pain are sometimes difficult to treat. Medications called gabapentoids are often used to treat neuropathic pain. Fibromyalgia is the typical condition used to explain neuropathic pain. This type of pain appears to be due to overactive nerves. But there can also be muscle damage, similar to muscle inflammation in polymyositis. There can also be damage to the nerves in these conditions, such as the loss of myelin around the nerve cells in Multiple Sclerosis. Pregabalin can help in these conditions. Opioids like oxycodone are also sometimes used, but this practice has led to an epidemic of addiction. Pregabalin can also have dependence and withdrawal properties. Using Larry OG in cases of neuropathic pain can have many advantages over these common treatments. Larry OG medical marijuana can treat the pain and calm the overactive nerves without causing significant dependence and withdrawal. Abstinence from regular use of marijuana can be uncomfortable but does not produce the possible seizures from pregabalin withdrawal or the awful withdrawal syndromes produced by opioid withdrawal. 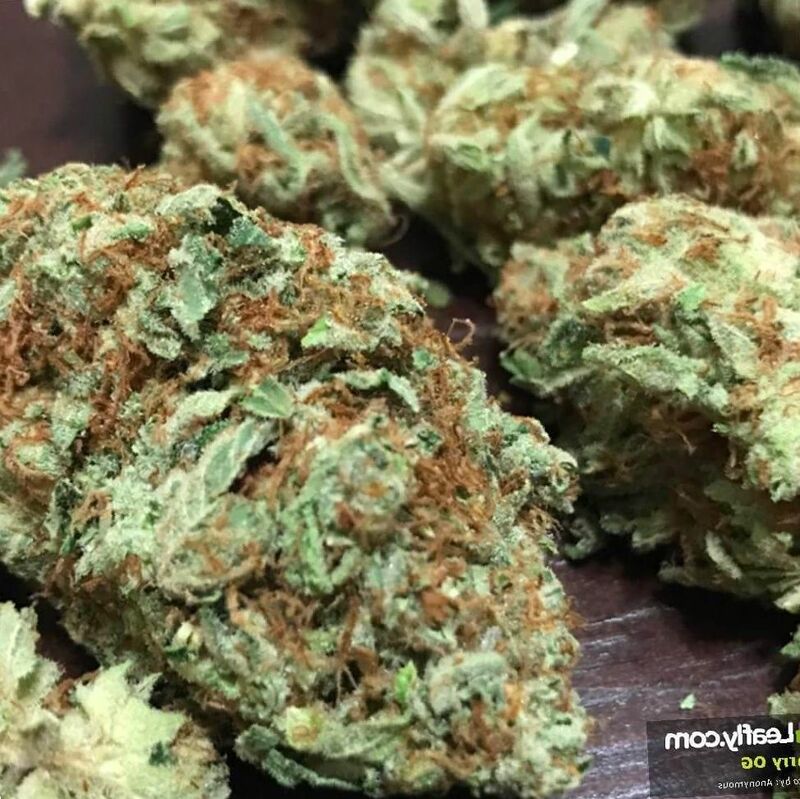 Larry OG can be a great boon to those who want to get off of medications with more side effects. Larry OG can also be a useful tool for cancer treatment. Cancer can cause pain as can the treatments of surgery, radiation, and chemotherapy. Sometimes a tumor is surgically removed. In the recovery period, pain relief is imperative. This is often achieved with the use of opioids, but again, these can be addictive and also, it’s possible to die from overdose of opioids. 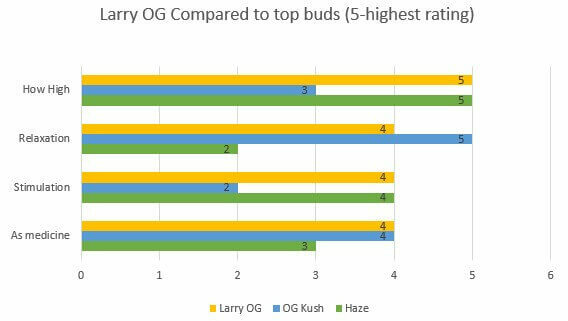 There are few if any known deaths from overdose on marijuana, which points to an excellent safety profile for Larry OG. These patients can get relief without the threat of overdose fatality. Cancer treatment with chemotherapy agents can cause fatigue and severe nausea. 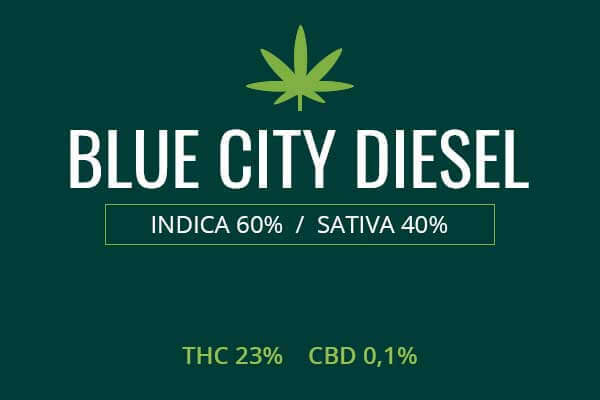 Larry OG can help address this fatigue which is often linked to pain. Severe nausea may be addressed with anti-emetics which are strong antihistamines or agents like meclizine and ondansetron. These agents can have unwanted side effects and some have to be taken orally which can cause the patient to vomit up the medications and be unable to benefit. Larry OG can be smoked, therefore bypassing this issue. This will make it possible for these patients to eat and gain weight. They could be on their way to recover. Larry OG, though balanced in its effects, can really lay you flat. You will be able to easily slip off into a slumber. If you smoke at night, be ready to dose off where you sit. Where you smoke is where you will sleep. You will not be going upstairs to sleep if you’re smoking downstairs so be ready for that and have a comfy blanket with you so you can fall asleep on the couch. Larry OG is described as both invigorating and relaxing. The initial effect sends a tingle through the head. You feel the pain relief fill you and the anxiety leave you. You will feel sociable and giggly. However, a few minutes in, waves of relaxing euphoria will dominate. You may start to get a sedative effect. This is definitely a weed where you want to be ready to sleep where you sit. You will also get a massive appetite so have your healthy and delicious snacks ready. You will enjoy the fruity smell and taste of this weed.